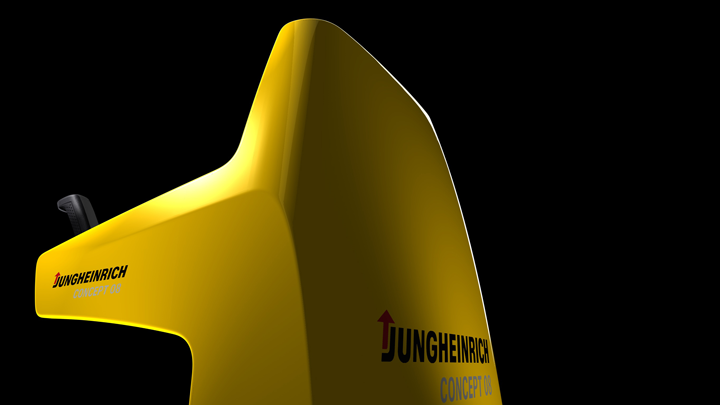 Jungheinrich AG impressed with the vehicle study "Concept08" at CeMat2008. Andreas Knie develops the concept idea with a completely new operating system as well as the design of the vehicle and takes over the project management for the development of the trade fair film. David Samways develops the mechanical design and co-ordinates the construction of the vehicles. 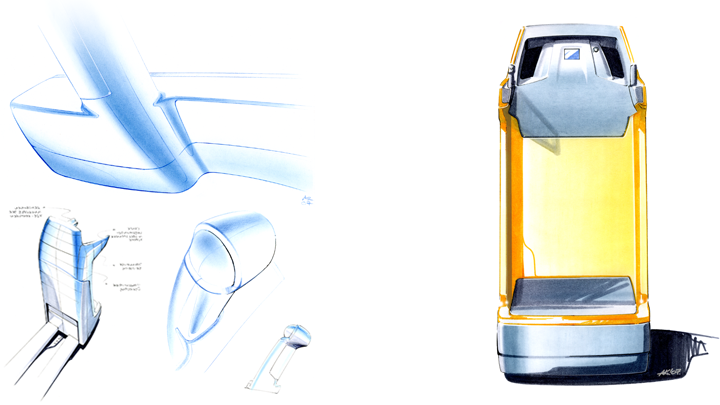 Compact Li-ion batteries and powerful direct drives enable a vehicle with maximum energy efficiency, the operating concept allows an absolutely intuitive movement of the vehicle, a charging docking station for the fork tips, a complete remote control interface for smartphones and RFID communication to recognize storage locations and goods make the vehicle an exciting overall concept. At CeMat08, the industry's leading trade fair, a fascinating animated film is being produced in cooperation with Delipictures Hamburg.